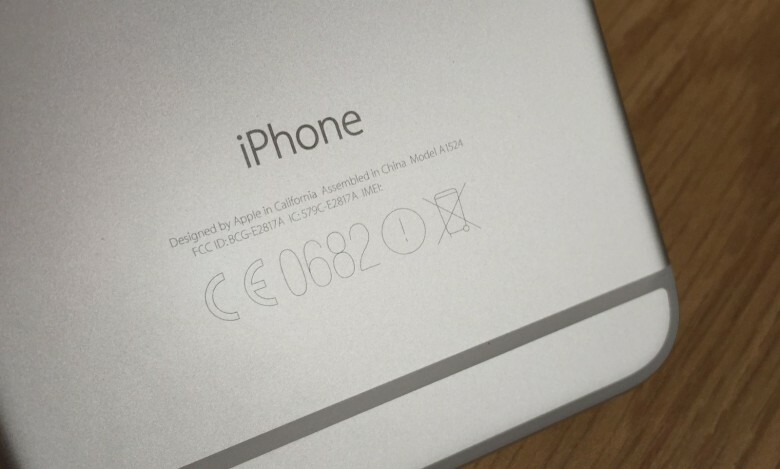 On otherwise flawless devices that strip away any unnecessary components, the ugly small print on the back of an iPhone or iPad — including the serial number, FCC logo, CE logo and model number — has always stood out. Well, thankfully Jony Ive and the rest of his design-obsessed team can finally do away with it for good, thanks to the E-label Act law signed in by President Obama on Wednesday. The bill, which unsurprisingly was heavily supported by those in the tech industry, means that gadget makers can now add software-based labels as opposed to having to print the identifying information onto their hardware. The change to Federal Communications Commission rules makes a lot of sense, particularly as devices get smaller. While this year’s iPhones are bigger than they have been previously, and we’ve heard reports of a 12.2-inch iPad, devices like the Apple Watch will certainly benefit from being without this particular eyesore. And it doesn’t hurt that our iPhones and iPads will look a lot cleaner too. Senator Deb Fischer, who authored the bill, called it “common sense,” and said that it was designed to bring the law into the 21st century.